ES-010WD is the most advanced transient perfect ferromagnetic oil-cooled tweeter driver in the market with clean smooth and gentle response. A very pleasant sounding tweeter for use in any position where it fits. Its aluminum anodiced casing create a wide dispersion pattern. Wider dispersion than any other tweeter driver of its kind. 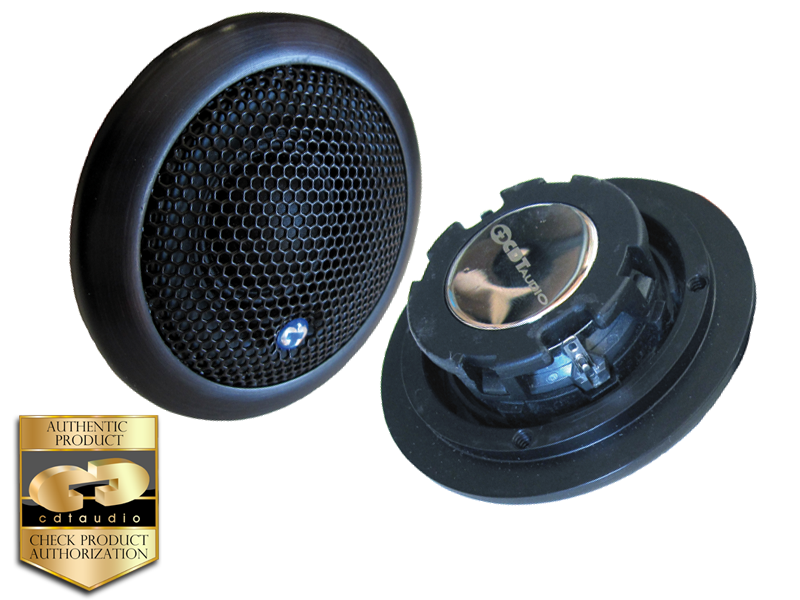 This unique enhanced wide dispersion tweeter driver is optimized for all automotive sound systems and of course integrates perfectly with other CDT components.